Using Docker on OS X is getting easier. Previously, it involved setting up boot2docker by hand. With the new Docker Toolbox (which wraps boot2docker and Kitematic, among others), installing Docker is almost trivial. The first step is to download and install Docker Toolbox. In case it encounters a problem during the initial run, I recommend reinstalling or updating your VirtualBox first. 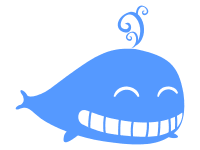 The major component of Docker Toolbox is Kitematic, which serves a gateway to a catalog of Docker images. You can launch a container based on a particular image. The first image, hello-world-nginx, is always a good start. It contains an instance of Nginx, a popular web server. Click on the CREATE button and wait for a moment while the image is being downloaded from Docker Hub. The progress can be monitored from the container logs. Once the container is running, we can test it. Go to the Settings tab and then Ports. It will show the IP address and port on the OS X system where Nginx is serving the page. Now all you need to do is to open your favorite web browser to go to that address and you will see the HTML content served by Nginx inside the container. To change the content of HTML file, go to the Volumes setting and click on /website_files. Kitematic will map it to a directory on your OS X. This is the fun part: edit the HTML file, save it, and refresh your web browser. It is fun to see this round-trip of bits and bytes, a file from the OS X system goes into the container, served via Nginx running in Linux, and then appears as a web content through a web browser. $ docker run iron/node node -e "console.log(Math.sqrt(2))"
Still afraid of Docker hassle? Hopefully this post shows that the fear is not justified. Published at DZone with permission of You Can Win . See the original article here.